Large and small commercial enterprises find it difficult to manage the process of cleaning as it requires copious amounts of time, energy and specialized tools. For such purposes, there are a number of companies who offer commercial cleaning services in order to share office responsibilities. Companies hire professionals to make sure that the best quality commercial cleaning services are utilized to keep office in tip top condition. An office boy or janitor is simply responsible for everyday cleaning tasks such as mopping, sweeping, dusting etc. This is surface cleaning that is necessary on a daily basis but it does not fulfil the requirements of having a ‘clean’ office. Apart from these daily cleaning activities commercial offices also require cleaning of a professional manner to safeguard against potential damages such as mold growth, air quality and bad smells. Professional commercial cleaning services result in preventing allergens, germs and other harmful micro-organisms from germinating leading to better air quality and overall cleanliness. What Does Commercial Cleaning Entail? Sanitization and disinfection of all restroom fixtures, sinks, partitions, walls, floors etc. Outsourcing office cleaning has many advantages both in terms of cost and quality. Commercial cleaning services know what they are doing and are likely to do a much better job of cleaning and maintaining the office than an in-house janitor. By outsourcing these services it also allows the organization to focus on core business processes which improves productivity and efficiency. A clean work environment reduces staff sick time, increases employee morale and improves infection control. This ultimately leads to a more productive and healthy work force. An office floor generally encompasses a large area and requires constant maintenance and cleaning to keep it in tip top condition. Improper care and neglecting floor management can create serious floor issues that give a truly bad impression of the organization or business. In order to provide your office with a neat and tidy look, it is recommended to hire workers for the purpose of floor cleaning. Services of floor cleaning include tile, carpet, grout, and hardwood floor cleaning. Latest equipment and tools are used to maintain and improve the floor appearance. For any business or organization, maintaining and protecting flooring can be challenging and a difficult task at times. This is because proper floor cleaning takes up a lot of time and requires special equipment to get the finish you desire. The best option for floor maintenance would be to hire professionals on a regular basis to come in and conduct a thorough cleaning of the floors. This is especially true if a business has hardwood flooring as those are the most difficult to maintain. The process of floor cleaning starts with the inspection and identification of hidden floor issues. After addressing the floor problems, a detailed discussion is conducted to make sure that the organization is made well-aware of the problem and are informed of possible solutions. An initial inspection of flooring that gives a fair idea of the amount of work required to bring it back to its original state or as close to as possible. Stains and spots are pre-sprayed by using green cleaning products. High pressure cleaning is performed in order to remove the dirt and ‘ground-in’ soil. This technique results in extracting excess water as well as any accumulated moisture. Floor surfaces are dried in an effective and efficient manner. The grout lines are then sealed to prevent long-term damage and to preserve cleanliness. Commercial floor cleaning services also include vinyl tile wax and strip, lamination floor cleaning, ceramic tile cleaning, hardwood floor cleaning, and grout sealing and cleaning. There are a number of potential benefits of hiring workers specifically for the purpose of floor cleaning. These include reduced wear, zero burn marks, superior clean and shine, and better slip resistance in order to enhance safety and reduce screeching noises. Availing commercial cleaning services will help preserve flooring while delivering a clean and shiny look. Office furniture is not cheap and its maintenance is as essential as any other business asset. Office furniture helps in the organization of resources and adds to comfort. Office desks, chairs, lamps, shelves and cupboards are all important fixtures of a business. After some time, this furniture winds up soiled and dusty with stains and spills and even pet hair. Chairs and desks inevitably lose their stunning appearance and crisp smell. Commercial cleaning specialists will help in reviving the great looks of your office decorations by re-establishing their freshness and evacuating extreme stains and scents. It is recommended to hire professionals to cater to all the needs of upholstery cleaning. The furniture and upholstery cleaning process eradicates dust mites, allergens, and mold spores delivering a fresh look and pleasant aroma which encourages a healthier lifestyle. Upholstery services include couch cleaning, special fabric cleaning, interior cleaning, apparel cleaning and furniture cleaning. When heating and cooling systems in an office are not properly maintained; dust, pollen and other unwanted debris and contaminants build up in the air reducing air quality. Any moisture or pooling that is trapped in the duct system greatly increases the chances of microbiological growth (mold) that releases spores which pollute the air making it unhealthy to inhale. Hiring experienced workers for the purpose of air duct cleaning will eliminate all the harmful contaminants by integrating the process of sanitizing and cleaning which results in improving the indoor air quality. Duct sanitizing involves the use of liquid chemical agents that are vaporized and sprayed into the air cooling or heating systems. Air flow carries these chemical agents throughout the entire duct system attaching to any bacteria or microbial growth and eliminating it. Odor removals in offices are usually required when the office environment allows for cigarette smoking indoors. The smell of tobacco- based products lingers in the air and can stick to exposed and hidden surfaces. This leaves a foul lingering smell that requires special attention in order to be completely removed. This is also true for restaurant and bar owners that allow smoking inside which can leave an unpleasant smell across the commercial complex. Scents coming from flame and smoke, water, sewage and organic sources are an imperceptible danger that can upset any one. Specifically, smoke and smell particles remain airborne numerous days after a fire has halted. 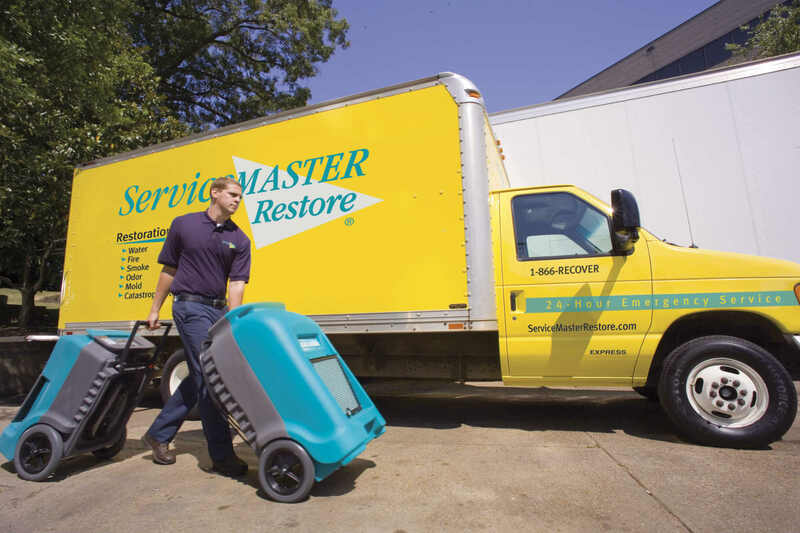 It becomes difficult for business owners to deal with the odor issues as proper tools and equipment are required to conduct the process of odor removal. It is always advisable to hire professionals for the purpose of odor removal as they do not simply mask the smell but rather eliminate it at its source. By eliminating harmful odors one can be confident of the fact that the air they are breathing is free from smoke related pathogens and particulates. Odors can often cause health issues for people who have asthma or allergies. It is due to the reason; these trained workers have the latest tools which can help in resolving the odor problems. This way, office air quality can be improved in a better way as all the noxious smells will be eliminated from the office environment. Commercial odor removal services include; fire and smoke odor removal, cigarette smoke removal, mold odor removal, and animal odor removal. Latest techniques will be incorporated by the professional workers to ensure that your surroundings air is pleasant again. Need a professional commercial cleaning specialist to come to your home or business quickly? Contact ServiceMaster QRS, day or night, for speedy emergency service. We work with your insurance company. Call (773)388-9200 today! Great information shared. Keep it up. Because commercial office cleaning involves checklists, I’m sure that such a company will be able to thoroughly clean the whole building. Hopefully, I’ll be able to prevent allergens with their services since it’s what I need in the office floors. If they incorporate a variety of tasks in their services, I’ll definitely hire them so that the employees will no longer get sick.